Retroblog: The sounds of ADSR. Megaproducer ADSR is back with two new iMPC Pro Packs, perfectly designed to lay out in iMPC Pro. Both Urban Instruments and Urban Escapade feature a dynamic range of sounds, with kits as versatile as ever. 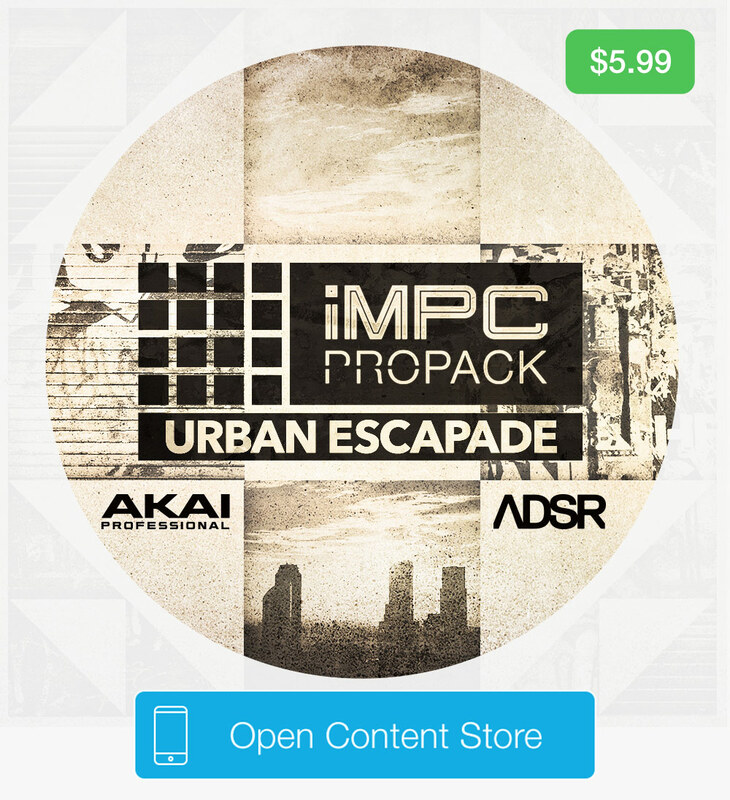 Akai Professional & ADSR are proud to bring you the latest in our genre specific sound packs. iMPC Pro users rejoice as the Billboard charting production team GHST PRJKT work alongside Akai Pro delivering the outstanding Urban Escapade, which features the latest drum and melodic samples for producers to load directly into iMPC Pro. If you’re after the lush pad sounds of producers and artists such as Noah “40” Shebib, Mike Zombie, Party Next Door, Roy Woods and Majid Jordan, then this release has exactly what you need. Instruments include dark epic pads, saturated 808 bass tones, moody reverb plucks, high passed leads and ambient keys. Featuring over 12 kits, Urban Instruments brings you the most premium content for your next session. As usual, Akai provides you with only the best and most authentic sounds available. Each instrument patch provides you with detailed sonic quality for maximum iOS performance.